This is a sponsored feature written by me on behalf of Disney Junior. All opinions are my own. Spending the summer mornings with my little guy really puts the YAY in FRiYAY for me. I love that we don’t have to rush out of the house for school and it gives us a chance to spend some time together before I go to work. 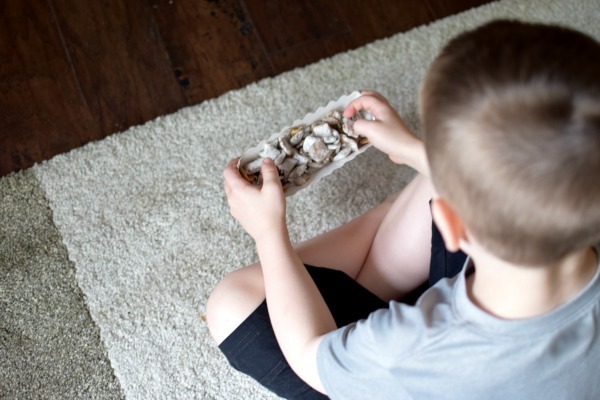 My son’s new favorite show is Puppy Dog Pals on Disney Junior and with the summer premiere coming up on July 14, I was inspired to make one of my childhood favorites … puppy chow! 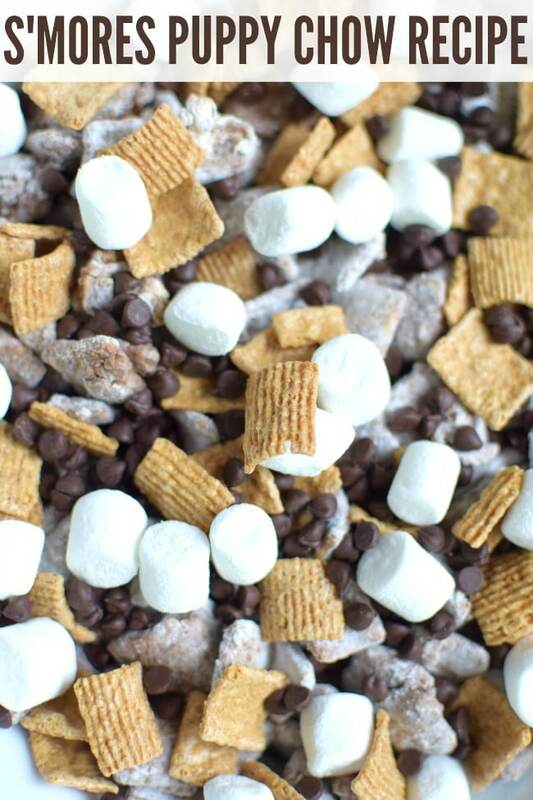 Because summer wouldn’t be the same without s’mores, I decided to put a spin on the idea and whipped up a S’mores Puppy Chow Recipe! In Puppy Dog Pals, two fun-loving and adventurous puppy brothers, Bingo and Rolly, live by the motto “Life is always more exciting with your best friends by your side.” These are my kind of pups! We love watching Bingo, Rolly and their best friends set out on new adventures! 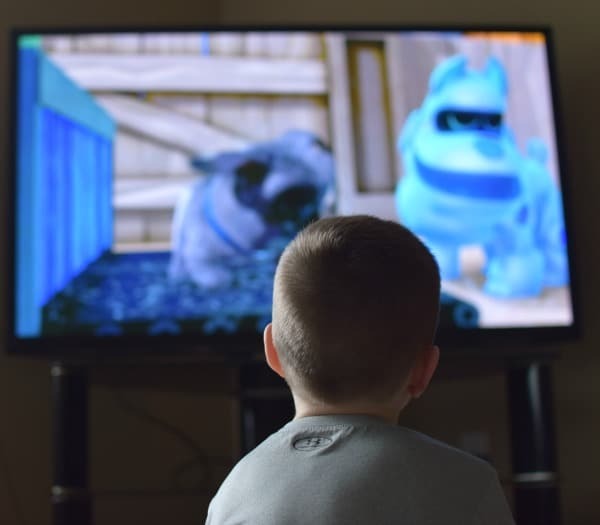 Puppy Dog Pals is the most adorable show that teaches children about friendship and problem-solving. Disney Junior has all new episodes every FRiYAY morning throughout the summer between 6-10 a.m. on Disney Channel. So keep an eye out for all new episodes of Puppy Dog Pals on June 16, June 23, July 7 and July 28. 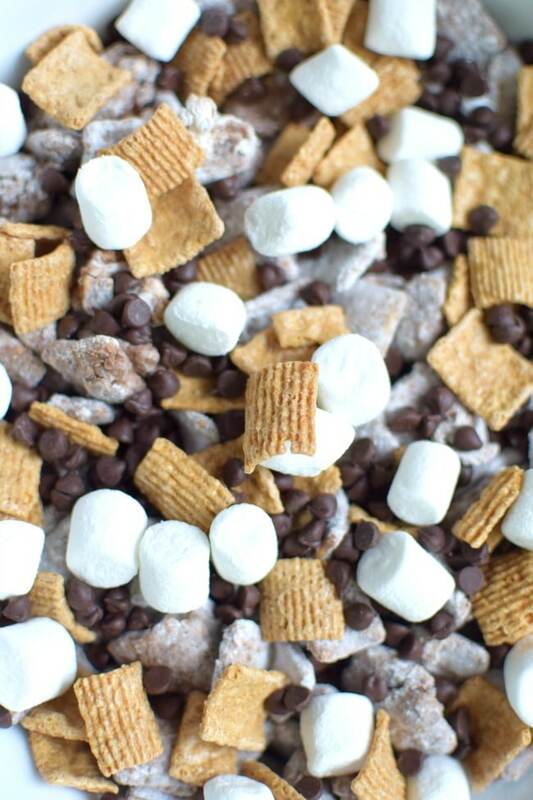 So in honor of our new favorite show, here’s what you’ll need to make this s’mores puppy chow snack for you and the kiddos! Combine 4 cups of the graham cracker cereal and 3 cups crispy rice squares cereal in a large bowl, and set aside. Put 1 cup powdered sugar in a large gallon bag and set aside. Combine your peanut butter and 1 cup of your chocolate chips in a large microwave safe bowl. Microwave for 30 seconds, then stir, then another 30 seconds, then stir, until creamy. Microwave another 30 seconds if needed. Add 1 cup mini marshmallows to your chocolate peanut butter and stir together so the marshmallows melt a little. Pour your chocolate peanut butter mixture over the cereal and stir together until cereal is completely coated. Carefully scoop chocolate coated cereal into a plastic bag with powdered sugar. Shake the bag until the cereal is completely coated with powdered sugar. 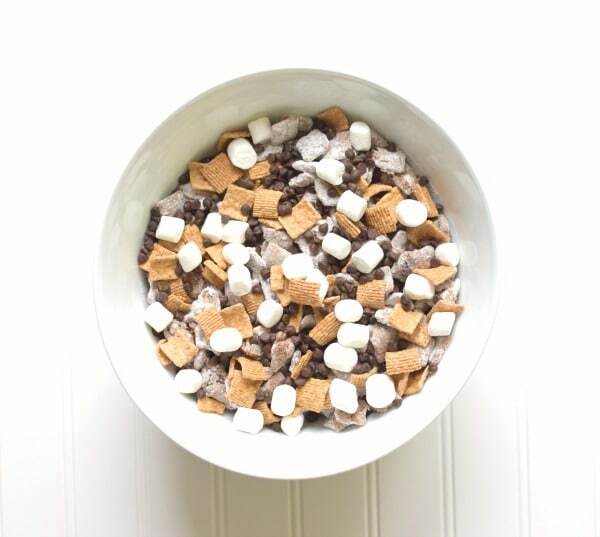 Pour cereal into another large bowl and mix in remaining ½ cup chocolate chips, ¾ cup mini marshmallows, and 1 cup graham cracker cereal and serve. 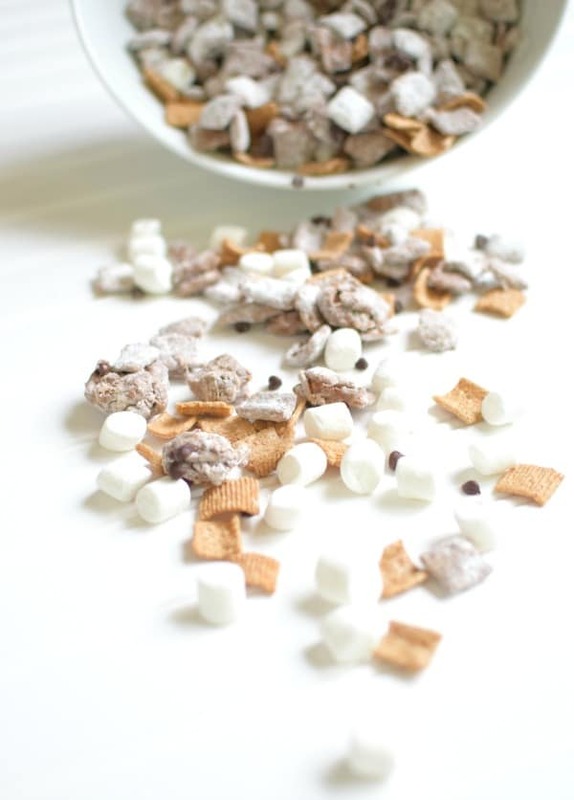 This S’mores Puppy Chow Recipe would also be perfect to serve at any birthday party or as a yummy party favor. The kids will love it! What’s your favorite summer show on Disney Channel? Let us know in the comments below! Thank you Disney Junior for sponsoring this post.